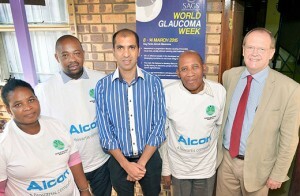 March 11 – 2015 – A World Glaucoma Week media event took place at St John’s Eye Hospital in Soweto yesterday, hosted by ophthalmologist Professor Grant. 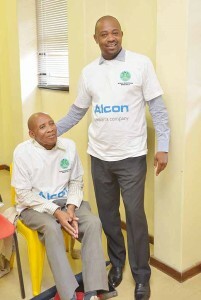 McLaren and Alcon. 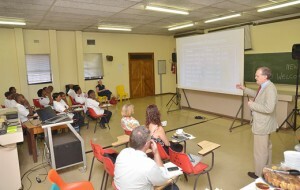 Prof McLaren reiterated that the lack of awareness of glaucoma is a critical problem both in South Africa and globally. Compliance with medication once diagnosis is made is also key to preventing further vision loss. He said that approximately 60.5 million people globally have glaucoma, with 8.4 million of these people already blinded from the disease. This figure is expected to reach 11.1 million by 2020. The burden of this on healthcare systems is immense, not to mention the effect on the quality of life of the glaucoma sufferer. 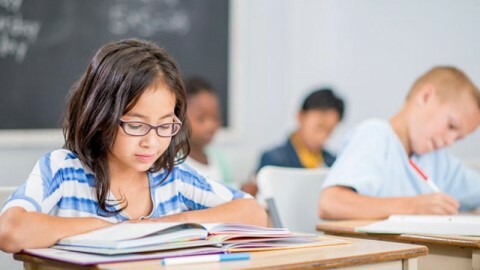 Education and awareness about glaucoma is key. 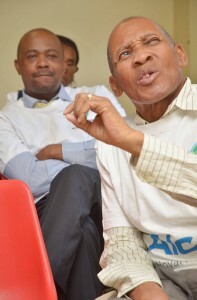 In Africa, it is estimated that 4% of people over 40 will have glaucoma. 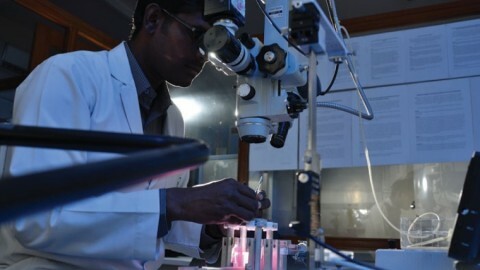 Glaucoma is the second leading cause of blindness globally, yet still today, millions of people are unaware of the risk factors associated with it. It is a complicated disease in which damage to the optic nerve leads to progressive, irreversible vision loss. Glaucoma is not curable, and vision lost cannot be regained. Diagnosis is the first step to preserving your vision. 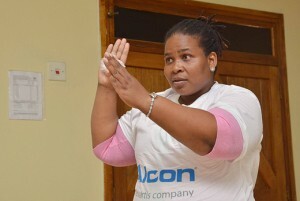 Zenzile Thusi is a 37 year old patient with glaucoma who caught the disease early and has managed to save most of the sight in her left eye. She does battle with poor peripheral vision in her right eye. She is very compliant with her medication. Zenzile lives in Soweto. The good news is that with early detection, through medical intervention and lifelong monitoring, further vision loss can be prevented. 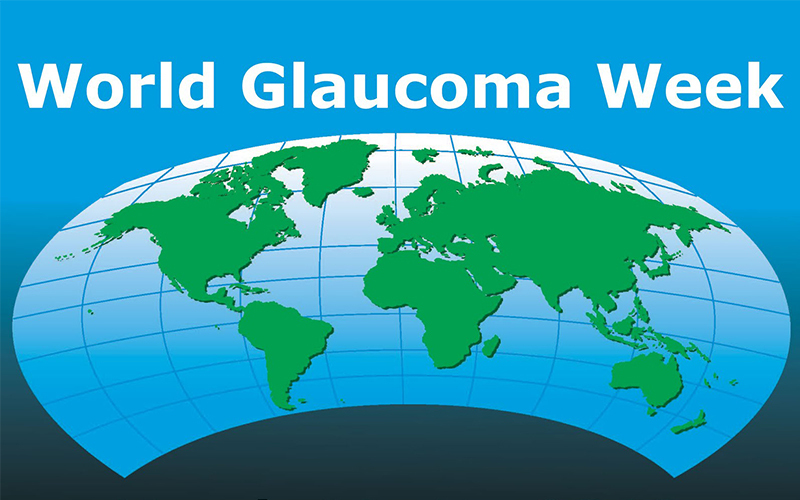 08 – 14 March 2015 is World Glaucoma Week – an annual initiative to raise awareness about glaucoma, what it does to sight and how it might affect sufferers. 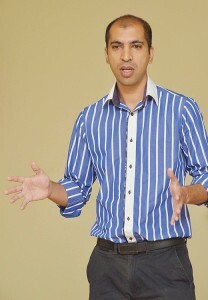 The international theme for this year is once again “BEAT INVISIBLE GLAUCOMA”. Glaucoma is a group of diseases, with open-angle glaucoma being the most common form, and there are virtually no symptoms or pain. It is known as the silent thief of site. Without diagnosis and treatment, patients will slowly lose their peripheral (side) vision. As glaucoma remains untreated, people may miss objects to the side and out the corner of their eye and will feel as if they are looking through a tunnel. Over time, central vision may decrease until no vision remains. Patients can lose as much as 40% of their sight before they even begin to notice. 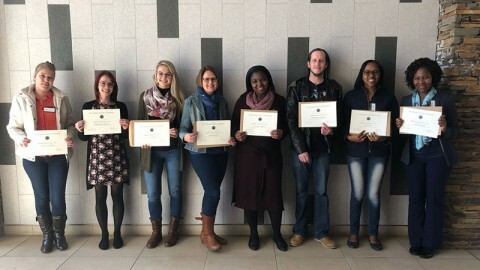 In South Africa, five to seven percent of the black population and three to five percent of the white population are affected. In many countries, approximately 50 percent of people with glaucoma do not know they have the disease. Although there is currently no cure for glaucoma, a number of treatments are available to assist patients in lowering eye pressure, a major risk factor for optic nerve damage. These include topical eye drops which can be very effective. 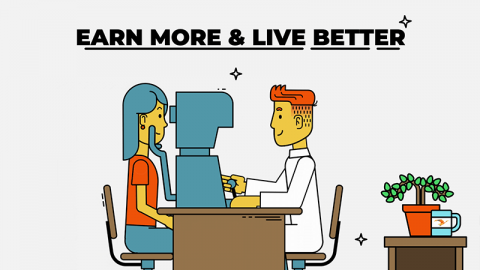 People over the age of 40 should have a glaucoma test every two years, those between 50 and 60 years of age should be tested every 18 months and over the age of 60, people should get tested yearly. Those with a family history of glaucoma should be tested from the age of 30. This is especially important if the affected relative was under 40 years of age when the glaucoma was first discovered. Glaucoma tests are painless. While the risk increases above the age of 40, everyone from babies to senior citizens can develop glaucoma. It is vital for those diagnosed with glaucoma to inform their relatives so that they can also go for an eye examination.